The Fort Lauderdale Real Estate market, offers such a broad assortment of lifestyles that we want to bring your attention to one of our favorites, River Reach Condominium, Read more about River Reach Condos, in Fort Lauderdale, Florida. River Reach Condominium is located on an island off the new river and SW 9th Ave. 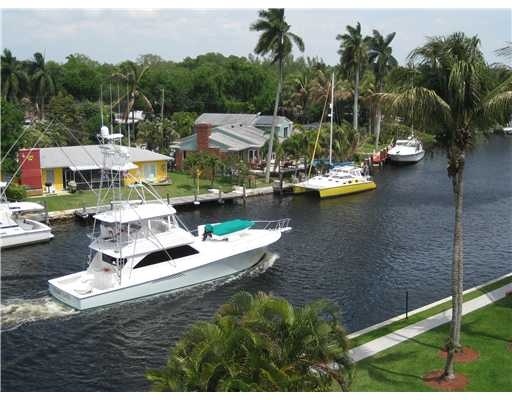 This gated community of 574 condominiums in 5 story buildings is a boaters fantasy lifestyle. Most units boast views of either the canal or river and these are some of the best waterfront deals of any Condos for Sale in Fort Lauderdale. The building owns an entire city block, is pet friendly, has a great pool and health club, and was built in 2002 to post Hurricane Andrew codes. It is a secure complex with a 24 hour manned gate at its bridge entrance. Small pets are allowed. The community features heated pools, an exercise room, and dockage for boats upto 50 feet when available at just $15.00 per foot. River Reach has beautiful gardens and it is a great place to talke a walk on the river. Underground parking and storage is available. At Eric Miller and Associates, "We're here to help" with your next River Reach purchase or sale. Contact us directly at (954) 383-8170.